Vote for William Law X-Mormon of the Year 2010!!! 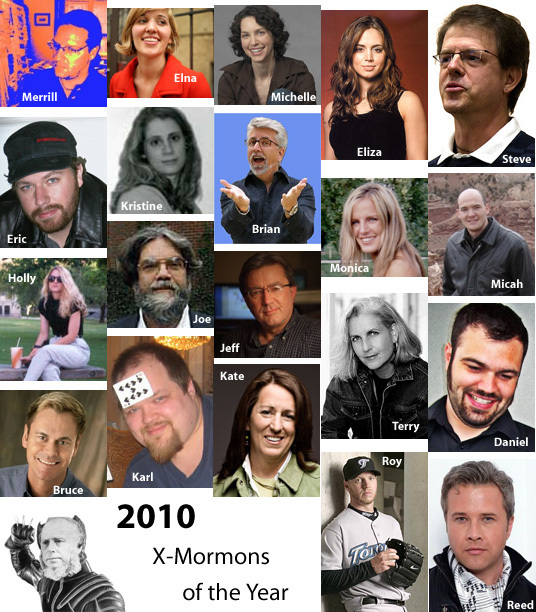 Which of these fabulous X-Mormons had the biggest impact in 2010? For further info on the candidates, see the nominations thread. Remember that the “X” in “X-Mormon” is a variable (standing for different types of non-traditional Mormons), and doesn’t necessarily mean that the candidate has left the church or stopped believing). Too bad no one thought to include Roy Halladay, who had a perfect game, a no-hitter in the playoffs, and a Cy Young in 2010. One of the best pitching seasons of all time. I was able to add him. Of course, the voting has already begun, so he gets a slight disadvantage, but you have until Feb 11 @22:00 GMT to vote, so it should be OK.
Is it too late to add him to the graphic? My second choice would be Terry Tempest Williams, whose writing is like a good jolt of caffeine to the brain. Honorable Mention to Bruce Bastian, for several reasons. Chanson – I’ll gladly add Roy to the graphic. Before I do, I’d like to get some input regarding another high-profile x-mo whose non-inclusion (I’m being told) is a glaring omission: Reed Cowan. I can see their point, b/c even though we interviewed Reed two times back in 2009, at the end of the day, the fact remains that 8: The Mormon Proposition has a 2010 release date. Anyway, just throwing that out there in case anyone would like to second an RC nomination here in comments before I update our graphic. Regardless, if we’re going to add Roy, I would prefer to add one more candidate as well so as to get the number to an even twenty, which is a much better number to work with for things like press releases and the like (e.g., “2010’s twenty most talked-about tenuously-Mormon superstars”). Fine with me — sounds like a good idea! It looks like I should have done a “last call for nominations” post before the voting (like I did for the Brodies). But, since I didn’t, I don’t think it’s a problem to add the last-minute nominations after the voting has begun. I think you should stop adding people. When we have already voted it seems a little unfair. OK, but I do like Chino’s “even 20” idea for the sake of the headlines. So I added Reed, but now we really, really close the nominations. And next year I’ll make a point to post a “last call for nominations” before posting the poll. Faith is an ex mormon !? Monica Bielanko who’s currently in the lead. If you’re unfamiliar with Monica’s x-mo credentials, this is as good a place to start as any. Carl — As far as I know, she hasn’t. But disbelief and/or renouncing the CoJCoL-dS aren’t requirements for this award. It’s explained in the post, just below the poll. We never got around to talking about what prizes the winner will take home, but how about a couple of tickets to see God’s favorite musical? And considering the size of the field, a few modest cash prizes for the runners-up? She’s the gal bringin’ the baby in the front papoose (and a whole lotta attitude).